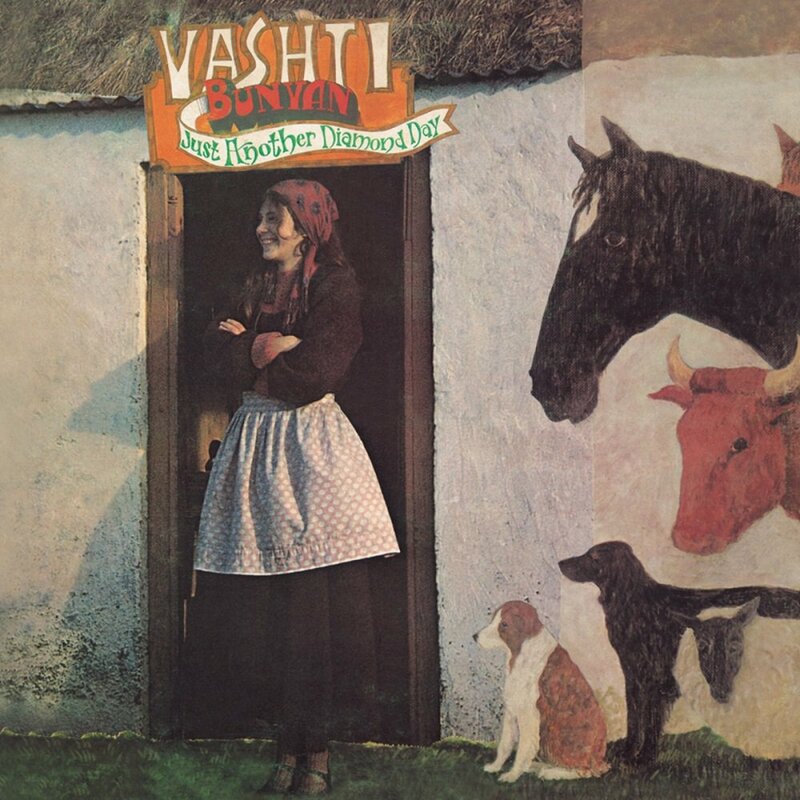 Dive deep into the mystical trails and the long, weary road that made Vashti Bunyan's career even more mythical. After a hiatus lasting over thirty years, her musical career finally got back on track at the beginning of this century – when her 1970 debut album ‘Just Another Diamond Day’ became a cult classic. Read all about her roots, pilgrimages, legendary revival and adventures below in our story on the life and music of this truly unique soul. In the summer of 1963, the 18-years-old Vashti Bunyan set out to visit her sister in New York, where she bought a copy of Bob Dylan’s classic album 'The Freewheelin’ Bob Dylan'. Struck by this masterpiece, Bunyan was determined to become a singer herself. The following year, Bunyan received a place at Ruskin School of Drawing in Oxford. Instead of attending lectures though, Bunyan was busy teaching herself to play the guitar and writing songs, which led her supervisors to see no other option than to expel her. In pursuit of her musical career, finding an audience seemed harder than imagined and Bunyan was often turned down with the patronizing phrase: "Very nice dear, but just not commercial." Eventually – through a friend of her mother – Bunyan met Rolling Stones' manager Andrew Loog Oldham. Destined to fill the gap left by international popstar Marianne Faithfull, Oldham signed Bunyan and recorded her first single 'Some Things Just Stick in Your Mind', written by Mick Jagger and Keith Richards. Bunyan's own compositions 'I Want To Be Alone' appeared on the B-side. 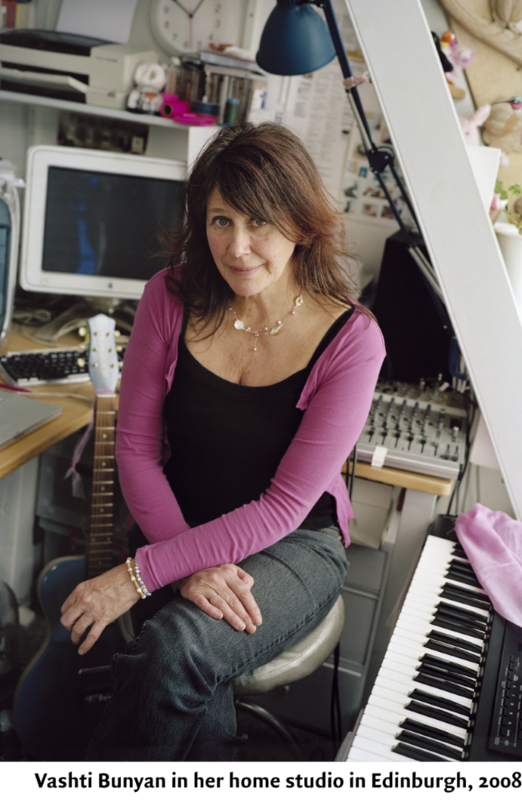 Despite of this, her music – and some follow-up singles – didn't became a commercial success, leaving Vashti Bunyan exploring other paths. 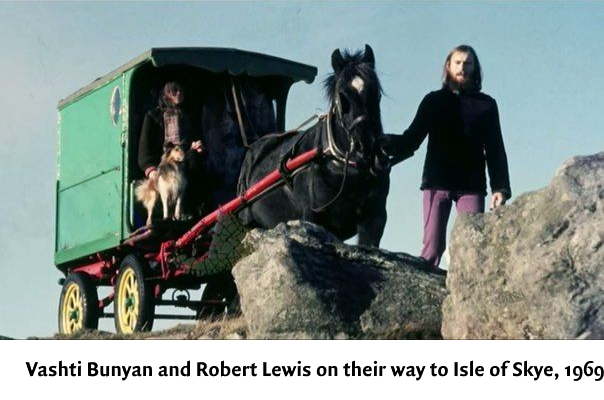 In 1968, with many artists fleeing the city, Vashti Bunyan and her boyfriend Robert Lewis – a fellow art student who she encountered during a nightly drive through the countryside of Suffolk in 1965 – set off on a pilgrimage to a commune on the Isle of Skye, set up by pop singer Donovan. Being a friend of Donovan, the singer lent them 100 British pounds to buy a horse and wagon to make their voyage – accompanied by their dog Blue – from London up the A6. Finally arriving two summers later, the party found Donovan and the commune already long gone. Even though Bunyan said she was done with recording, she continued making music. Carrying a suitcase full of new songs that documented the romantic dreams and idyllic scenes they came across on their 700-mile journey, she met Joe Boyd – at the time a key figure in British music – who convinced her to go back in the studio. These fairytale songs about wonderful landscapes, rainbow rivers and glow-worms lighting the way became the core of Vashti Bunyan's debut album 'Just Another Diamond Day', released in 1970. Even with the new support from Boyd, however, her music once again fizzled into obscurity. "This is terrible. I've just made somebody else depressed. I'm not doing that again. And I didn't. I didn't pick up a guitar again until my son was 16 and I was teaching him to play." The next 30 years, Bunyan spent her time raising a family and farm animals in rural Scotland and Ireland. 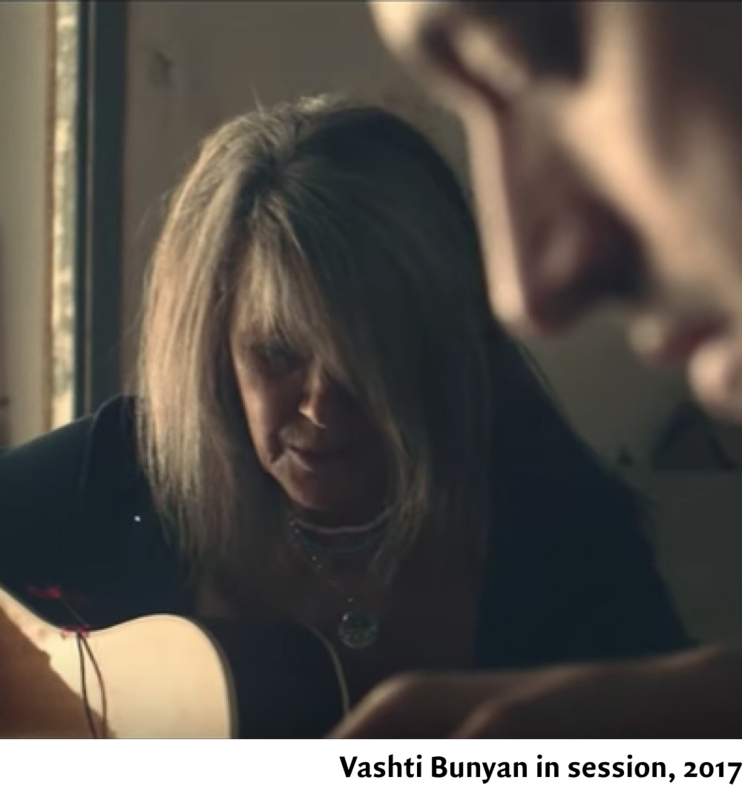 Despite shelving her musical career and not even singing for her own three children, her offspring found an old dusty tape of 'Diamond Day' in the back of a drawer –­ which they secretly listened to in the family car. At the end of the 90's, after an unfortunate break up with her long-time companion Lewis, Bunyan moved back to the urban area of Edinburgh, where she bought a computer to write stories. Searching her own name on an Internet search engine, Bunyan found out her debut album hadn’t vanished from the face of the earth, as she had expected. On the contrary: the record had become a cult gem – going for up to $2,000 a copy on eBay –, with Bunyan herself considered to be a lost icon. Spending several years reclaiming rights of her original masters, Bunyan reissued her debut album in 2000, selling over 50,000 copies and reviving Bunyan's long overdue musical career. The following years, Bunyan collaborated with various new artists that were inspired by her music, including Devendra Banhart – who, in his darkest days, wrote Bunyan with some songs and found himself getting an encouraging reply. "Vashti saved my life", Devendra has said, thinking back on this. In collaboration with Animal Collective, Bunyan also released the 'Prospect Hummer EP', and in 2005 – 35 years after releasing her debut – Bunyan finally recorded 'Lookaftering': a delicate and bittersweet album upon which she looks back over her life. After releasing a collection of early demos in 2007, it seemed Bunyan had retired again. However, Bunyan spent seven years to carefully craft her third full-length 'Heartleap'. She started experimenting with electronic music and the use of synthesizers, while also single-handedly recording and producing the majority of the album in her home studio. 'Heartleap' once again became an album filled with that distinctive beauty, grace and elegance that characterize all of Bunyan's work. Despite the fact that Bunyan said the album would be her last, she continues to write songs and making music. 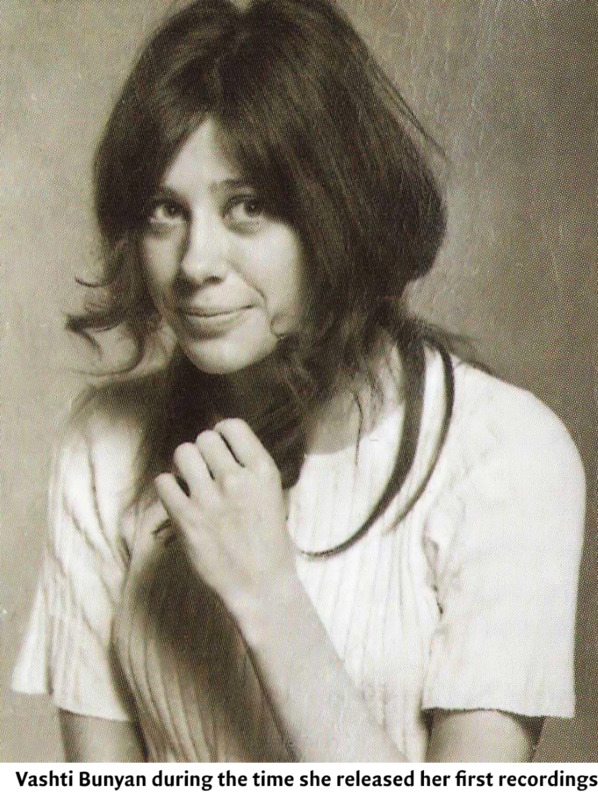 Vashti Bunyan's life story is stuffed with setbacks and revivals, but in the end she came out a winner, earning worldwide recognition with her delicately crafted and sweet voiced music. 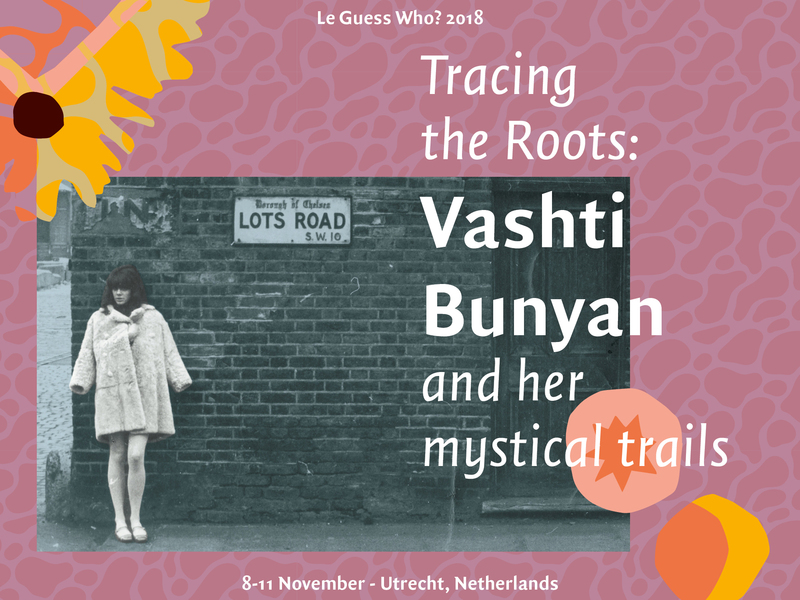 We're proud to present this musical legend and truly unique soul at Le Guess Who? 2018, with her performance being curated by long-time friend and associate Devendra Banhart. 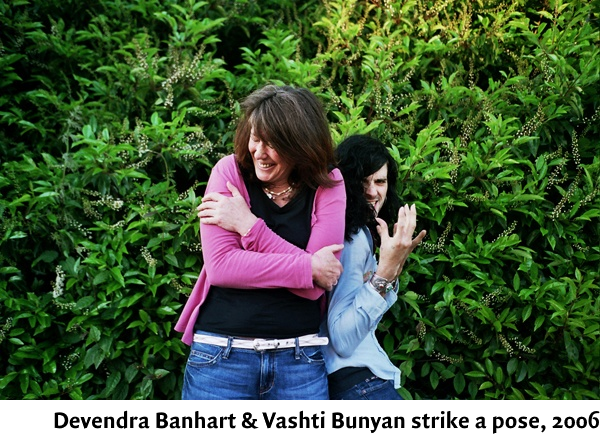 Photo credits: Alissa Anderson (Devendra Banhart & Vashti Bunyan, 2006). Text by Sander Zwart.